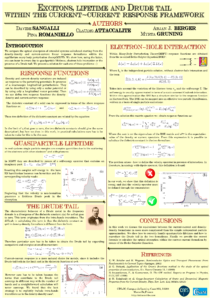 In this work we compare the optical absorption of extended systems calculated starting from the density-density and current-current linear response formalisms within the equilibrium many-body perturbation theory(MBPT). 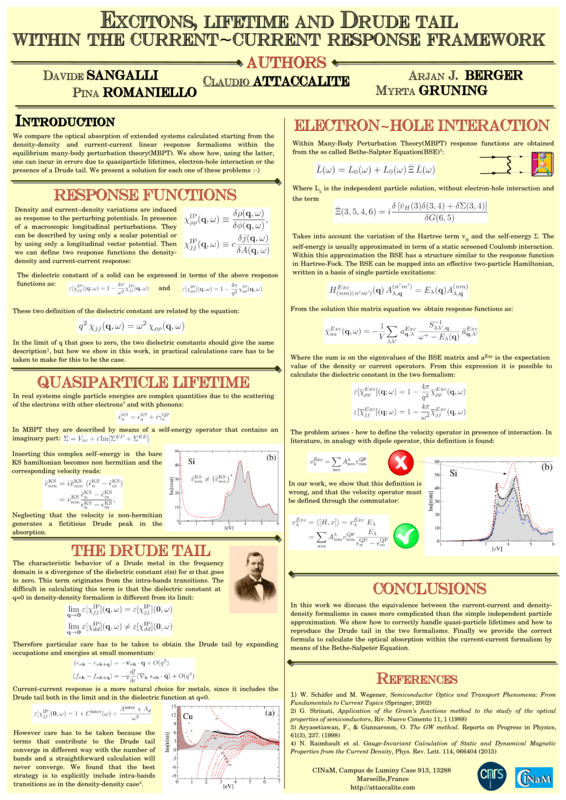 We show how, using the latter, one can incur in errors due to quasiparticle lifetimes, electron-hole interaction or the presence of a Drude tail. These errors are found in different papers and computational codes. We present a solution for each one of these problems.